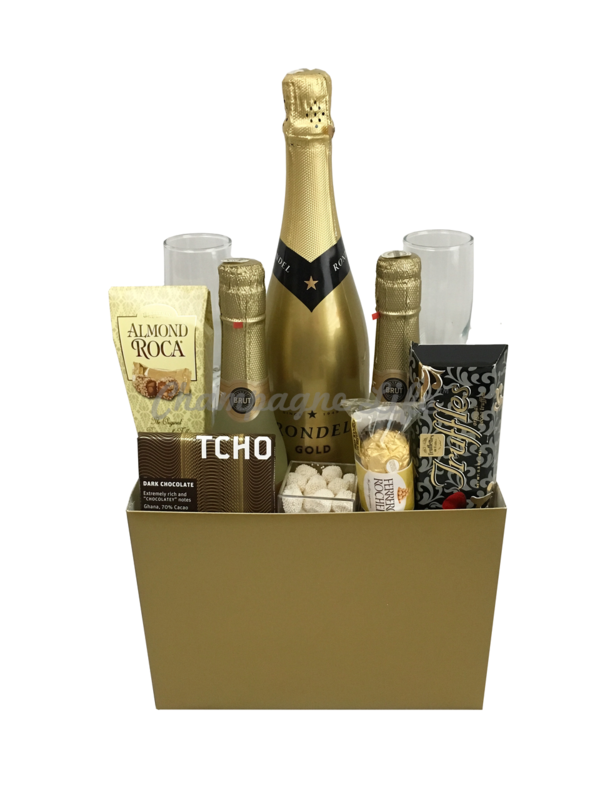 The Gold Wedding Gift Basket is the perfect combination of bubbly brut champagne and savory chocolates. Available for same day delivery on the Las Vegas Strip. Give the gift worth more than Gold! All wedding gift baskets are available for same day delivery to hotels on the Las Vegas Strip and nationwide shipping.